The best-selling Axis lock gets an assist - in a handy pocket sized package. AMERICAN MADE STEEL: CPM-S30V (58-60 HRC) premium stainless steel with well-rounded characteristics, including excellent corrosion resistance and superb edge qualities. The well-balanced stainless steel makes it one of the best choice for daily tasks. DURABLE MATERIALS: Glass-Reinforced, G10 handle offers exceptional strength to weight, is impervious to moisture or liquid and physically stable under a wide range of temperatures. Includes a split arrow clip with a reversible tip-up position. INNOVATIVE AXIS MECHANISM: Ambidextrous design, AXIS gets its function from two omega-style springs, one on each liner, give the locking bar its inertia to engage the knife tang. 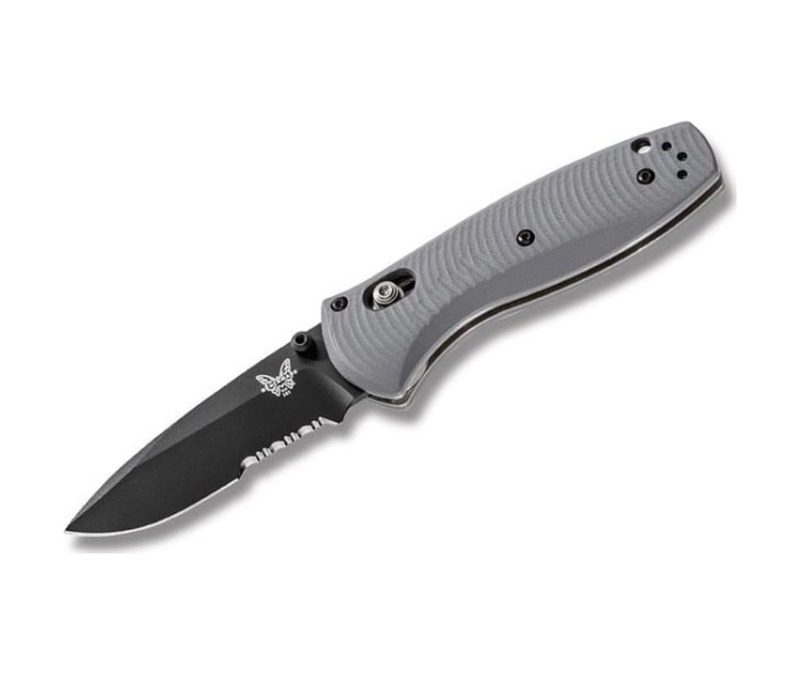 AXIS assist knives also feature integrated safety lock systems.